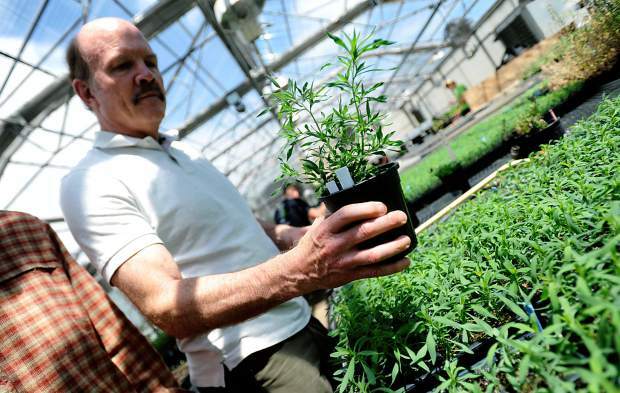 Scott Nissen a professor at Colorado State University holds one of the kochia weeds on Tuesday at the CSU greenhouses in Fort Collins. The weeds are apart of on going research into weeds with herbicide resistance. 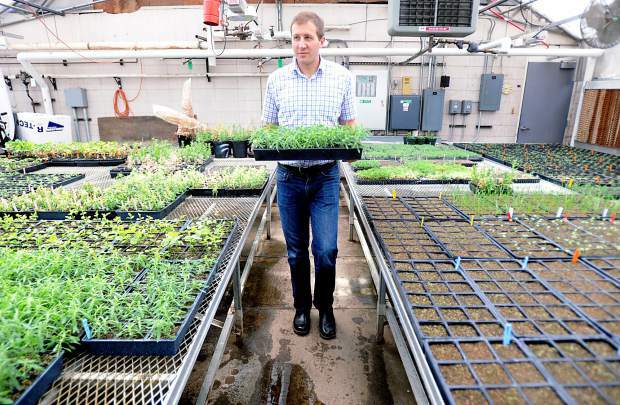 Todd Gaines a assistant professor with Colorado State University walks with a small pallet of sample kochia weeds that are being tested at the CSU greenhouses on Tuesday in Fort Collins. The greenhouse is growing several weeds common in the United States. 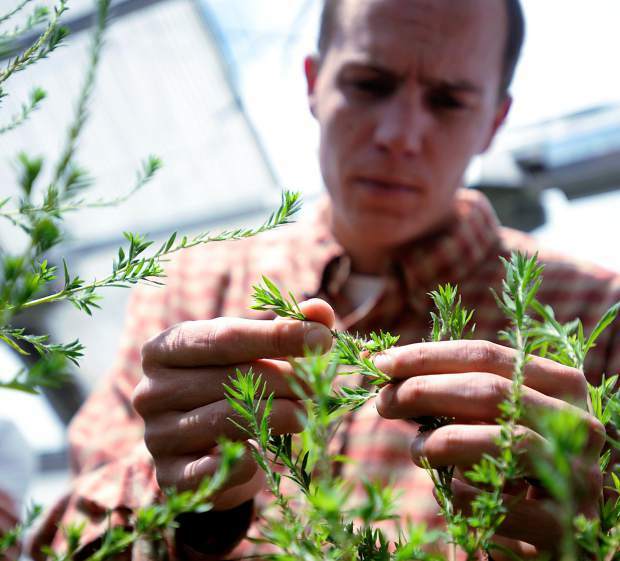 Eric Westra a researcher for Colorado State University and Ph.D candidate holds one of kochia weeds at the CSU greenhouses in Fort Collins. WHAT: Gathering of global researchers to tackle the spread of herbicide-resistant weeds. For more information, contact Todd Gaines at todd.gaines@colostate.edu. While tumbleweeds have long settled into the romantic imagery of the plains, the rolling symbol of the Wild West remains far from home.